Monika Kostanjevec is a legal adviser at the Centre for Information Service, Co-operation and Development of NGOs (CNVOS). 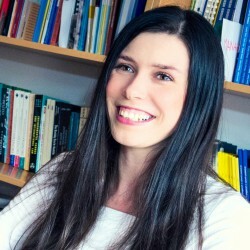 Since joining CNVOS in January 2015, she has been coverinig several advocacy issues such as financial sustainability and public financing of NGOs, public participation in the decision-making process, the role of NGOs in community-led local development and various other topical issues and legislation affecting the functioning and development of NGOs in Slovenia. Before joining CNVOS, she worked for several years as a volunteer for NGOs in the area of environmental protection.